Heat oven to 350°F. In large bowl, break up cookie dough. Stir or knead in flour, pecans and 2 teaspoons of the chai tea mix until well blended. Shape dough into 36 (1-inch) balls; place 1 inch apart on ungreased cookie sheets. Bake 11 to 15 minutes or until tops appear dry and edges just begin to brown. Cool 1 minute; remove from cookie sheets. In shallow dish, mix remaining chai tea mix and the powdered sugar. Roll warm cookies in sugar mixture. Cool completely, about 15 minutes. Reroll cookies in powdered sugar mixture. Store in tightly covered container. 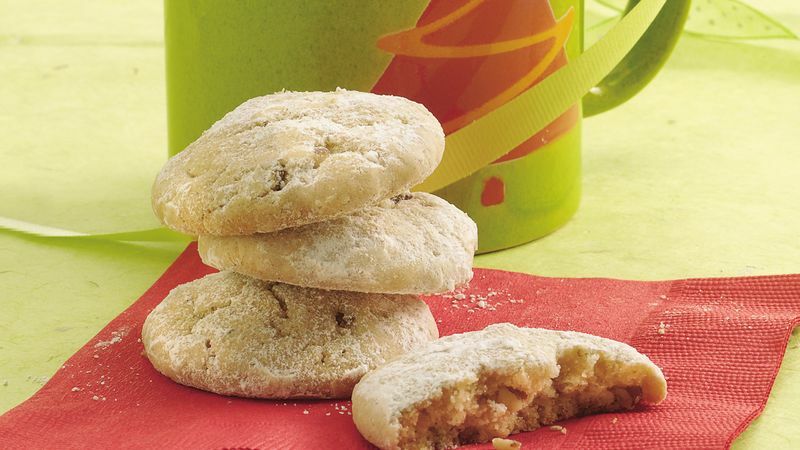 These cookies use chai tea latte mix which contains black tea, honey, spices and dried milk. Look for it near the other packages of tea.